YEREVAN/ARKA. The trade agreement signed between Armenia and the US last Thursday should not be considered as a step against Russia, political analyst Movses Demirchyan said in his interview to Sputnik-Armenia radio channel. An Armenia-US framework agreement on trade and investments was signed in Washington last Thursday, by Armenia’s foreign minister Edward Nalbandyan and assistant US trade representative Dan Mullaney, in the presence of Armenia’s president Serzh Sargsyan. According to the document, Armenia and the US confirmed their willingness to create favorable conditions for investments and promotion of the trade turnover between the two countries. Apart from this, an Armenian-American council on trade and investments is to be set up that will hold meetings at least once per year and will be seeking new areas of bilateral investments and trade, as well as settle possible problems on the way. When signing the Eurasian Economic Union membership agreement Armenia said it would continue its relationship with the West, Demirchyan said. Amid the current globalization, actions should be taken for developing cooperation and not denying it, he said. The agreement is an indication of the US willingness to consider Armenia as a partner for long-term projects, which is very positive for Armenia, the expert said. It eliminates the concerns about the West’s turning its back on Armenia, he added. Yet, the expert has not ruled out certain economic problems with the West may occur in the event of closer integration with the EEU. But this is a future matter, he said. There is no a clear provision within the EEU to have contacts with certain countries only, Demirchyan said. Hence, countries are free to pick political partners, he added. Certain changes occurred in the economic component after Armenia joined the EEU, but political cooperation with Russia, CIS, Europe and the US remained mainly unchanged, according to the expert. 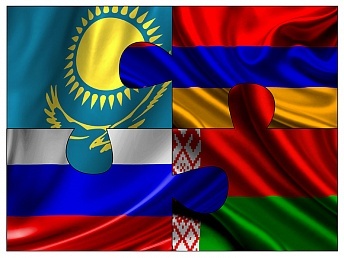 Armenia became a full-fledged EEU member on January 2, 2015.